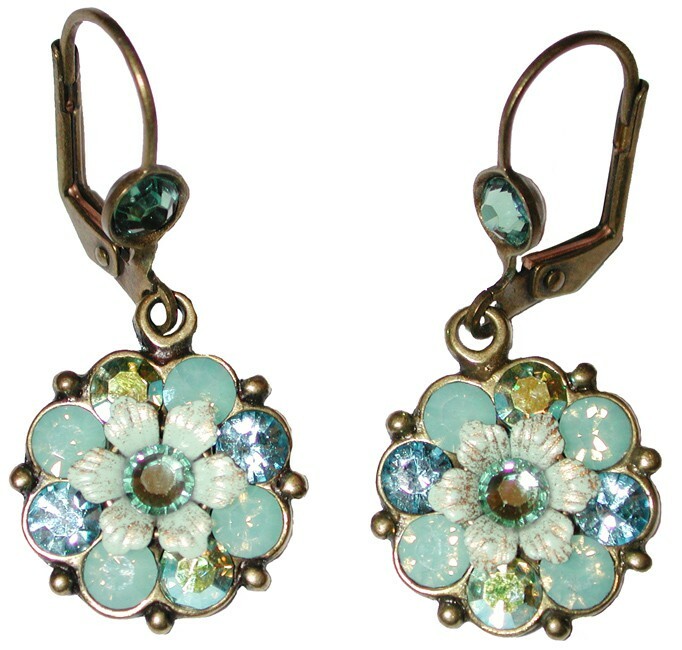 Michal Negrin earrings with sea green and sparkling aqua and green Swarovski crystals and painted flowers. 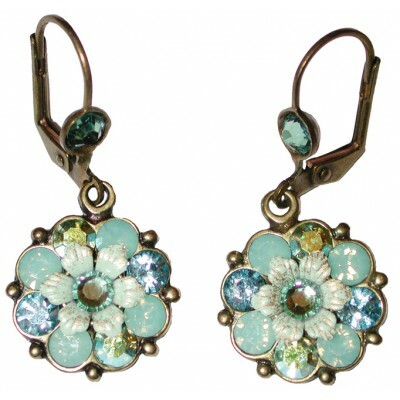 The crystal-flowers measure 0.6 inch in diameter. Every item sold at Sale-la-Vie is 100% authentic. All our designer items are guaranteed to be authentic and real. We only sell genuine articles. Powered By IGW.co.il Copyright © 2007-2019 Sale-la-Vie.com. All Rights Reserved. Images Copyright © 2007-2019 Sale-la-Vie.com. All Rights Reserved.